They also featured a photo of kayaking fun at Tecumseh Paddling! on 10 September 2015 . The Tecumseh Brewing Company was recently featured in "The Review" Michigan Municiple League's November/December Magazine. Summertime is one of the best times to indulge in this taste experience, which is the combination of four innovative and delectable food stops located in downtown Tecumseh. Tecumseh's downtown gives you that throwback feel as it seems like one of those classic downtowns you see in old films. With these four restaurants all within walking distance in the downtown area, the joy of walking to and fro will make the taste experience extra enjoyable (or better yet, 'scrumtrulescent'). Plus, you can justify eating more since you'll be able to walk off the calories. The four restaurants involved in this delicious experience are: The British Tea Garden, Evans Street Station, Boulevard Market, and Pentamere Winery. All are locally owned and the fact that they join forces to create Tecumseh's Taste Experience, is further evidence of what Tecumseh is all about—the community spirit. Tecumseh's togetherness welcomes anyone and is a pleasant happenstance in this head-down-eyes-on-the-smartphone world. Everyone is a friend in Tecumseh. Evans Street Station is an ingredient-driven destination with inspired dining and a relaxed atmosphere. Its farm-to-table delights will make you never want to have fast food again. At the Pentamere Winery, you can sample wines and feel high class as you take in the ambiance of the tasting room. With numerous different wine styles, there's something for every wine aficionado. The tour continues at British Tea Garden, where your experience is all about relaxing peace. Its small town charm is perfect for lunch or some afternoon tea. Then, there is the Boulevard Market which serves up European cheeses and specialty foods. It houses the Four Corners Creamery and Stone Ground Chocolate. It's a haven for both cheese and chocolate lovers. 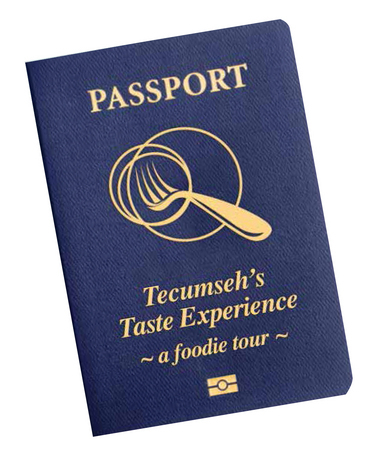 Tecumseh's tastes and togetherness merges through the Tecumseh Taste Experience. It's not only great for the self-described foodies, but can also create ones out of anyone who decides to take the tour. Food and friendship is what the tour is all about. Mix in the fact you'll be amidst a classic downtown, and you have a full-fledged, 'scrumtrulescent' experience you won't want to miss before summer's end. on 20 August 2013 . This article was recently published on MLive.com in the travel section. Yearning for the days of old is not uncommon. Things come and go and some of those things we wish stayed around longer. Whether it was an aesthetic of a downtown, or an event you once attended—there's no shame in clinging on to what once was when that "once was" was a thing of beauty. Strolling through Tecumseh's downtown can feel like a blast from the past. This historic, but innovative city shines as a destination meant for those looking to experience a chain-less downtown, a place with some nature, and somewhere to revel in history. Local boutiques, restaurants, and businesses line the streets of downtown Tecumseh, oft displaying "Tecumseh Pride" signs in the window—something you typically only see in the movies these days. Downtown Tecumseh is home to J-Bar Hobbies, one of the biggest hobby shops in the midwest. Here, you can browse aisles and aisles of the toys of yesteryear. You'll find train sets, dolls, baseball cards, puzzles, model aircrafts, and much more. In J-Bar, you feel like a kid again—bring your own kids to the shop to show off what was fun in a world before video games. 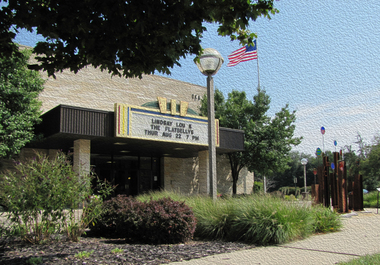 More Tecumseh exploration will open your eyes to historical buildings and facades throughout the entire community. Detailed windows and archways are prevalent on numerous buildings, along with antique doors. Just by walking around, you can soak in some history. 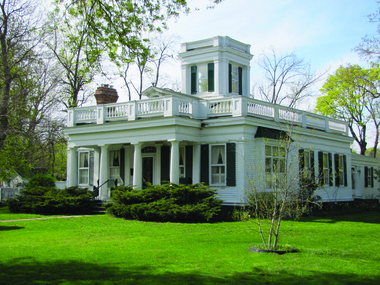 To really dig deep into history, visit the Tecumseh Historical Museum. Here, you can learn about the first settlers in the area, why business owners constructed their buildings from brick after 1850, and Tecumseh's ties to the Underground Railroad. What makes the museum unique is that it's housed in a 1913 gothic style stone structure known as the "Old Stone Church." 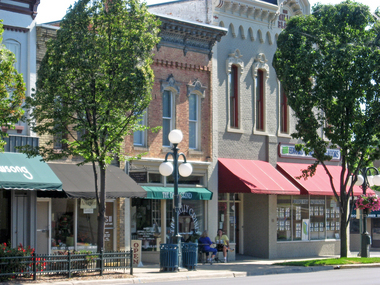 Antiquing is also a major part of Tecumseh. You'll find multiple antique shops and flea markets that will have you feeling like you're in the past as you explore all sorts of treasures. Meyer Airport is another historic spot to check out when visiting, as it was the original site where aviator Al Meyer designed the Meyer OTW (Out to Win) and Meyer 200 Series airplanes. The airport currently serves as the location for SkyDive Tecumseh, so while you're there you can take a leap from a plane if you desire—or at least watch some people fall from the sky, which is entertaining for those young and old. We all must move on, but Tecumseh holds on to a bit from the past, and they do so beautifully. Not only that, Tecumseh blends this historical area with innovation, so it's moving forward all the while celebrating the past. For more info on Tecumseh, along with other Michigan cities, sign up for the Pure Michigan eNewsletter or the Pure Michigan Travel Guide. on 05 August 2013 . The easy-going downtown ofTecumseh is gearing up for a return of an annual event, Art in August. The timeless downtown, known for its unique local businesses and quaint parks, will see an influx of art with the help of Art in August. "This event is a returning favorite, enjoyed by artists, merchants, and browsers alike," said Paula Holtz, Economic Development Director for the city of Tecumseh. Artists will bring their work—jewelry, photography, pottery, and more—into thedowntown businesses to share their creativity with the people. With extended business hours, downtown is sure to bustling with creative, curious minds ready to browse. What makes this event special is that it's one the artists truly adore as much as the browsers and businesses who take part in it. "As an artist, Art in August is a great venue to not only showcase and sell art but also educate the public about the process of making art and the pricing of art," said Jean Lash, a representative of Community Arts of Tecumseh. Artists will not only be on hand to showcase their art, but will also be holding artistic demonstrations, giving the spectators a chance to not only see the pieces, but see the process. Art in August isn't so much a showcase, but an experience. Lash said she finds the interaction between the public as she worked on pieces while at Art in August in the past, very rewarding. Entering its third year this go-around, Art in August has already seen quite the growth since its debut. Whether it's new artists joining the event, or returning artists bringing new work, returning spectators can expect plenty of new people and things to see. "More and more artists are becoming involved and as a result the media is constantly changing," said Lash. "Making art is an adventure in creativity—even though the same artist may be involved, his or her work changes too." Held in conjunction with Art in August is the Plein Air Paint Out, hosted by the Black Door Gallery—an artist gallery located in Tecumseh. Holtz said for Plein Air Paint Out, artists will be painting outdoors on location in Tecumseh throughout the day and convene to the gallery for an artist reception, where the public is also welcome. Tecumseh's close-knit community makes for an experience where even if you hardly know anyone, you'll feel right at home. The artistic atmosphere during Art in August will make you step back and appreciate the city, the people, and the artists. Arrive for the art, depart with friends, and an experience you won't forget.